While researching restaurants and food of New Orleans all I heard about was beignets, beignets, beignets. I kept reading everywhere that it is a “must” to eat them. Plus, after watching Princess and the Frog eight hundred times, you have to get a taste. However, I was able to find a place where I could dive into beignets that also had a full menu for breakfast – Café Beignet. My strategy was to give breakfast to my boys first to be sure that they were fed before we indulged in beignets. Not too much to my surprise, beignets became our beloved favorite food while in New Orleans. • Beignets are commonly known in New Orleans as a breakfast. But they are served all day long. • The beignet is served with powdered sugar on top. 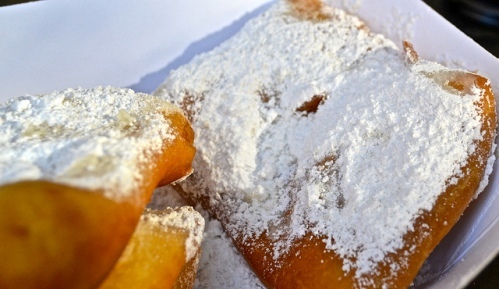 • Beignets have been around in New Orleans for over two hundred years. 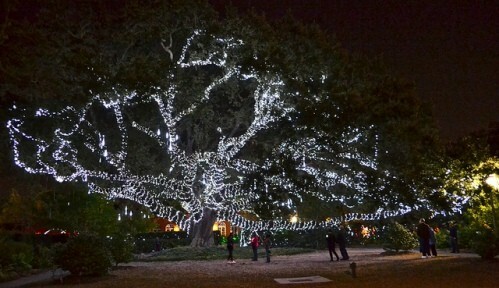 • They were brought to New Orleans in the 18th century by French colonists. • The recipe is a mixture of a French pastry and an American doughnut. • The service – it is super at this café. • Even though there was a line outside, when I finally got to the counter to order the staff was super friendly and really cheerful, as if I was their first costumer. 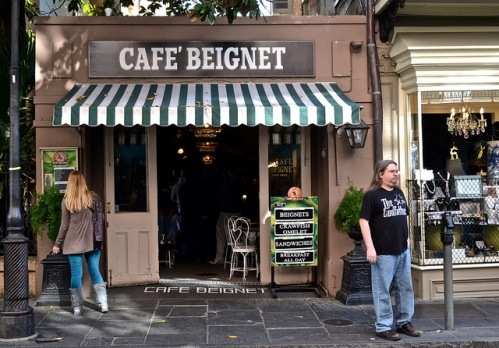 • If you want to avoid the crowds that arrive for breakfast, they also serve lunch and beignets all day. So try to arrive a little later. • And the outdoor seating area is worth the extra wait.